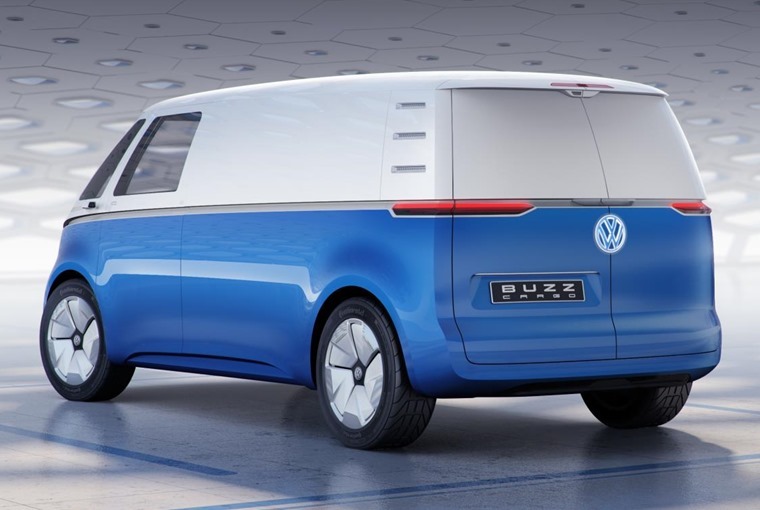 Volkswagen has unveiled yet another ID concept in the form of the Buzz Cargo – a commercial variation on the retro-looking microbus concept revealed last year. No launch date has been confirmed, but it’s likely we’ll see a production version in 2021. 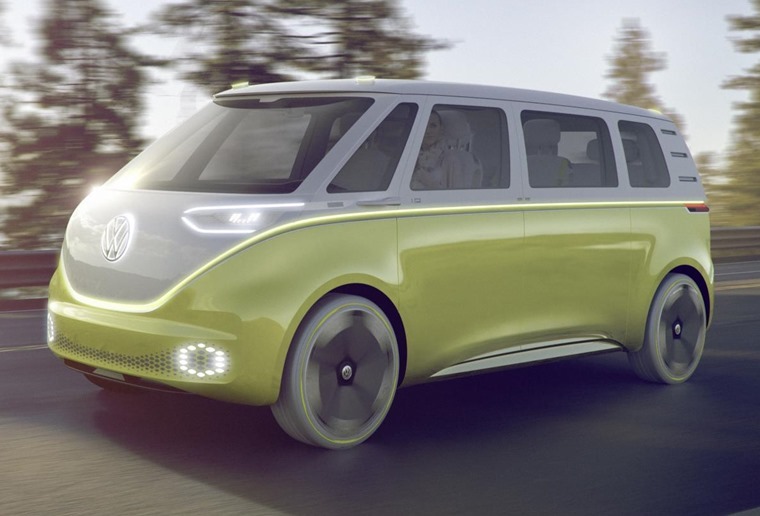 It features a larger battery pack than the microbus too, giving it a 341-mile range – the most impressive of any ID concept to date. 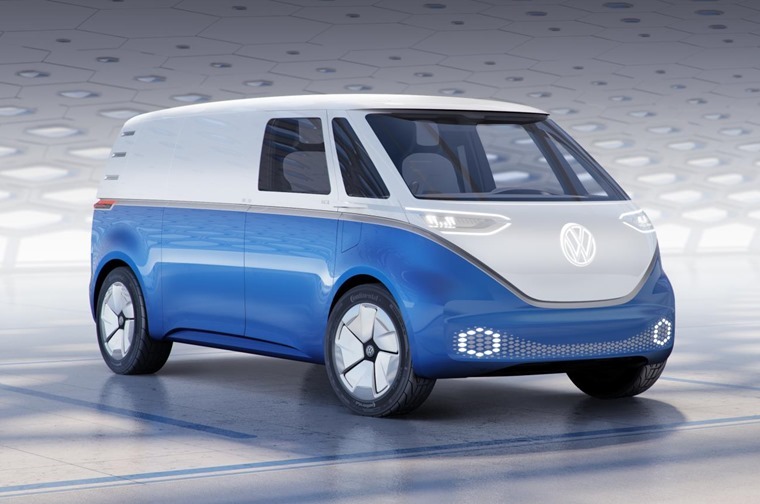 Size-wise, it’s around the same dimensions as the current Transporter and, other than a different pair of bumpers and downsized wheels, the looks remain faithful to the Buzz concept – itself a retro-futuristic take on VW’s iconic Type 2. It gets a larger rear overhang than the regular Buzz too, resulting in extra loading capacity. Maximum load is 800kg, while in the futuristic cabin you’ll find three seats. The central seat can be folded down and transforms into an interactive workstation on the move. 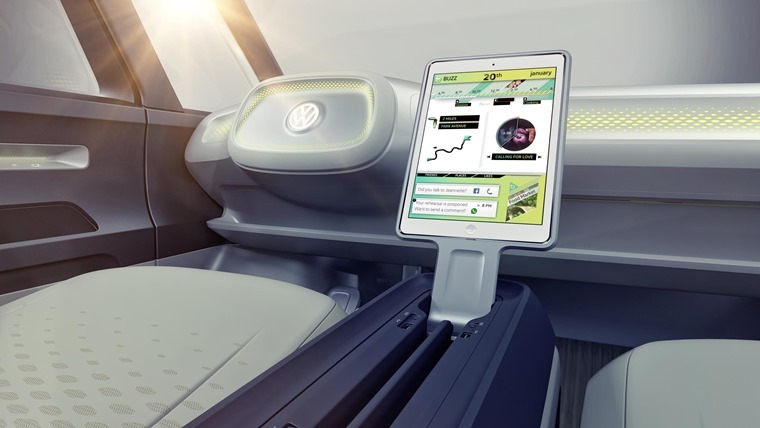 Traditional dials are replaced by an augmented reality that’s projected on to the windscreen, while a central tablet-style touchpad controls features such as the heating and infotainment. The Buzz Cargo concept gets a fully autonomous driving system too, that allows the driver to take their eyes off the road completely. The system is turned on by pushing the steering wheel. As for its power, two electric motors deliver a combined 198bhp. Performance stats are to be confirmed, but top speed will be limited to 99mph. Two battery options will be available – a 48kWh pack and a 111kWh pack. The smaller unit can be charged in as little as 15 minutes from a 150kW fast charger, while the larger will take around half an hour. We’ll bring you more details of the upcoming Buzz as more details emerge, but if you can’t wait for an all-electric Volkswagen van, you can check out the e-Crafter that’s currently undergoing trials.